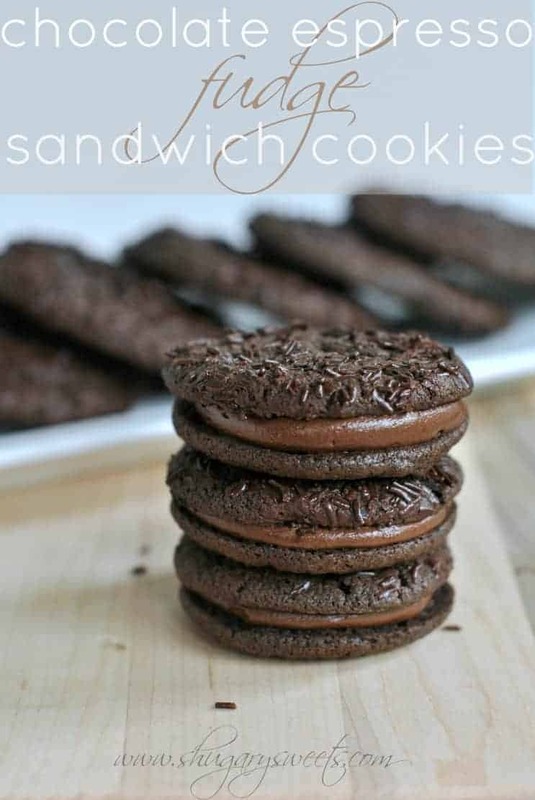 Rich, Chocolate Fudge Sandwich cookies with a hint of Espresso! The perfect chocolate indulgence. Not only am I sharing this recipe for delicious, fudge cookies…but I also have a giveaway! Many times I’ll hear from some of you about the ingredients I use in my recipes. For instance, today’s recipe uses Espresso Powder. King Arthur Flour is providing a fun assortment of products for one lucky reader! Using all these ingredients, you can make today’s cookie recipe! Don’t worry though, even if you don’t win the giveaway, you can STILL make these fudgy cookies. Be sure to read the recipe below! I’ve mentioned it before, but I just love my morning coffee. By adding some espresso powder in these cookies, I can have my coffee taste any time! Feel free to add more espresso to give it a richer coffee flavor. Or use less (or none) if you want NO coffee taste. The espresso though does enhance the chocolate, so if you’re brave use at least 1/2 tsp. I used 1 1/2 tsp in this recipe, which gave it just enough to taste the espresso but not completely overpower the chocolate. I also used King Arthur Flour’s Burgundy chunks. If you’ve never had good semi-sweet chocolate, you’re in for a real treat! These chunks are so smooth and soft, you may find yourself eating right out of the bag! For the “regular” cookies I added the chunks right into the batter. For the cookie sandwiches, I made a chocolate ganache that I cooled and whipped (don’t worry, instructions are in the recipe below). I also topped my cookies with some chocolate jimmies! For today’s cookie sandwiches I used my 1 Tbsp scoop. I made some of the cookies “regular sized” using the 2Tbsp scoop (which is the size the winner will receive). I use my 2Tbsp scoop for most of my cupcake recipes too. I don’t like my cupcakes over the top of the liners, and this scoop is my perfect measuring tool! Leave a blog post comment below telling me YOUR favorite cookie! Sign up for King Arthur Flour’s e-newsletter to receive special offers, recipes and tips! Leave a comment below letting me know you signed up. Pin an image on Pinterest for today’s recipe and leave a comment below letting me know you did so! Share today’s post on ANY of your social media (facebook, twitter, stumbleupon, google+) and leave me a comment for each share letting me know how you shared. Giveaway open to U.S. residents only. Must be 18 years or older. One winner will be chosen using random.org and will receive notification by email. Winner will have 48 hours to respond before a new winner will be chosen. In a large mixing bowl, beat butter, crisco and brown sugar for 2-3 minutes until combined. Beat in vanilla, salt and eggs. Add flour, cocoa, baking powder and espresso powder. Refrigerate cookie dough for one hour. Prepare baking sheets with parchment paper. Drop dough by 1 Tbsp scoop onto baking sheet. Dip tops of each dough ball into a bowl with the chocolate sprinkles. Bake in a 375 degree oven for 9-11 minutes. Allow to cool slightly on baking sheet, then cool completely on wire rack. For the filling, heat heavy cream in a small saucepan until warm. Remove from heat and whisk in the chocolate chunks until smooth. Refrigerate filling for one hour. When ready to make filling, beat with a wire whisk attachment to mixer until fluffy and desired consistency. Scoop into a ziploc bag, snip off the corner. Pair sandwich cookies with like sized cookies. Pipe filling onto one cookie, slightly pressing the second cookie on top. Store in a covered container for up to one week. ENJOY. Prepare the filling after you put your cookie dough in the refrigerator. When cookie dough is done chilling, bake as directed. While cookies are cooling, remove filling and beat according to recipe directions. To make regular drop cookies (not sandwich cookies): fold chocolate chunks into cookie dough before refrigerating. Use a 2 Tbsp scoop and bake an additional 2 minutes for the cookies. ENJOY. Looking for more uses for Espresso Powder? 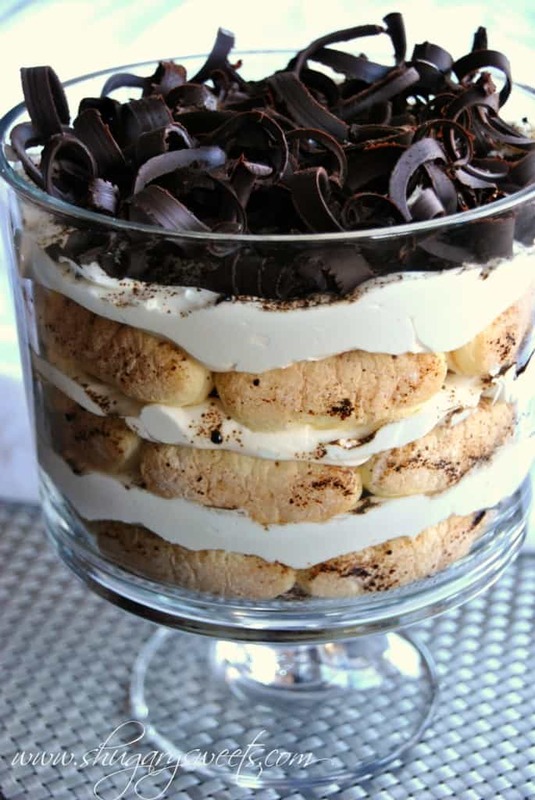 This Tiramisu Cheesecake Trifle is delicious! And the chocolate curls are a must! Not only do these cookies use espresso powder, but they are no bake as well. Perfect for summer!! 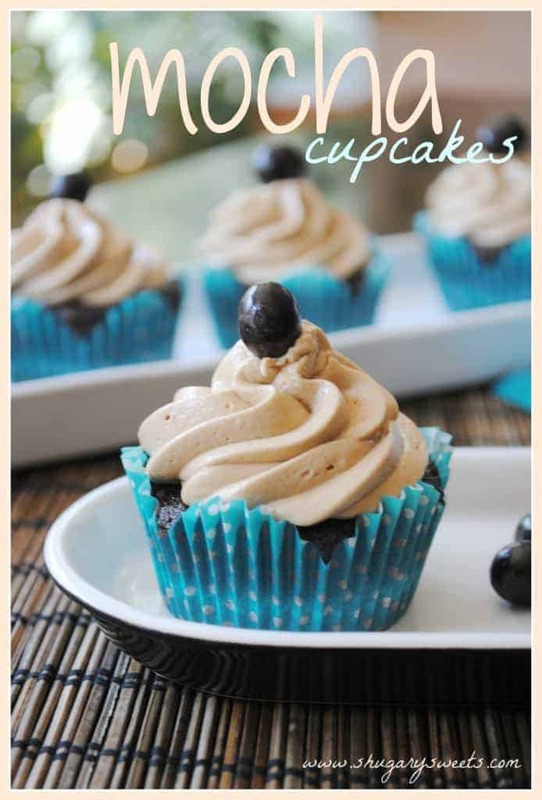 Mocha Cupcakes use espresso powder. Need I say more? Look how lovely…. **Shugary Sweets received product for review. No other compensation was provided. All opinions are 100% my own. See my disclosure policy for my information. My favorite cookie at the moment is a cherry white chocolate chip that the local grocery store has in their bakery section. It is moist and oh so so good. Oooh that sounds delicious! good luck in the giveaway! My favorite cookies are Jacques Torres’ mudslide cookies. It’s chocolatey goodness! Yes please, they sound wonderful. Good luck Eva in the giveaway! I receive emails from King Arthur. My favorite cookie is……Chocolate Chip Hazelnut! YUM! I’m kinda obsessed with hazelnuts lately, good luck Anna! Signed Up for King Arthur Flour e-newsletter. You had me at espresso…. Haha, I love walnuts in my cookies too! good luck in the giveaway Sandy! Aww gosh these look so incredible! Fudge and that hint of espresso is awesome. Yep, I’d be a fan of those cookies too! My all time favorite cookie: Monster Cookies. I love Biscoff chocolate chip cookies. Fave cookie – that changes weekly 🙂 Recently Twix Bar Cookies, Snickers Cookies, PB Choc Chunk cookies…too many to name! Pinned this! And would have anyway! I’ve gotten the KAF newsletter for ages. I love their site and store! and I already get their RSS blog feed 🙂 I ONLY bake with KAF. Period. My favorite cookie totally depends on my mood, the time of year, what I’d be pairing it with, and who I’m sharing them with. Chocolate Chip are always a favorite, but I also love lemon coolers (perfect for summer), Biscoff cookies, big molasses cookies, macaroons, shortbread cookies, etc. Nestle Toll House Basic Chocolate Chip Cookie Recipe. They sound delicious Monica!! Thanks for stopping by, good luck in the giveaway! looks delicious, can’t wait to try this one! I shared it on my FB page, and signed up for the newsletter! My favorite cookies is the KAF fudge drop cookies, but my husband is a dedicated chocolate chip cookies man…. Would LOVE to win the package because I made the KAF souble shot mocha cookies this weekend. They turned out a tad bitter and I think it might have been because I didn’t have any dutch cocoa so I used my Dagoba cocoa instead and added some baking soda… but they looked beautiful and had wonderful texture! I love a good ole chocolate chip cookie, when made right it can’t be beat. My favorite cookie is still the classic chocolate chip cookie. You just can’t go wrong with buttery vanilla and chocolate! I like double chocolate chip cookies with pecans, the ones that are similar to a brownie consistancy. America’s Test Kitchen has a great recipe in the Cooks Illustrated book. I get King Arthur’s emails at jefflammers at rocktmail dot com. I posted a tweet: https://twitter.com/FireRunner2379/status/339412566176579584. My favorite cookies are oatmeal raisin! For some reason, the texture of raisins in chewy cookies is one of my favorite things in the world! I love raisins too. And Raisinets in my cookies!! I want to swim in the filling to these cookies. LOVE it! Those fat little shortbread cookies with fudge frosting! I am an email subscriber of King Arthur Flour’s newsletter. Thanks for the chance to enter. I pinned your recipe for these cookies. Thanks for the chance to enter. I like good ol’ chocolate chip cookies the best! I love my vanilla pudding choco chip cookies! My favorite ever! My favorite cookies is the good ol’ fashion Oatmeal Chocolate Chip cookie with pecans that mom made when we were kids. They are still the best! My favorite is good old-fashioned chocolate chip cookies…preferably, warm out of the oven! I pinned your cookie on Pinterest…. I already receive email from KAF…thanks!! just signed up for King arthur newsletter:) thx for link! Good ol’fashioned warm-right-out-of-the-oven chocolate chip cookies are my favorite! I receive e-newsletters from KAF. 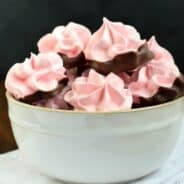 I pinned the Tiramisu Cheesecake Trifle on my “Desserts” board on Pinterest! Can’t wait to try it! Oatmeal scotchies have a special place in my heart! I guess oatmeal raisin would be my favorite. My all time favorite cookies are my grandmother’s cream cookies! These look amazing! I’m subscribed to King Arthur’s Flour emails. I signed up for kaf e-newsletter. My favorite cookie is white chocolate macadamium nut. Favorite Cookie is Chocolate Chip! Kind of boring, but I love it!! ohhhh THESE LOOK GOOD. I love KA flour! I like my cookies with milk! My favorite cookie is chocolate chip. Can’t beat the classics! My favorite cookies are chocolate chip with milk and dark chocolate chips. I love peanut butter cookies in any form. In my kitchen right now are peanut butter pudding cookies with chocolate and peanut butter chips. 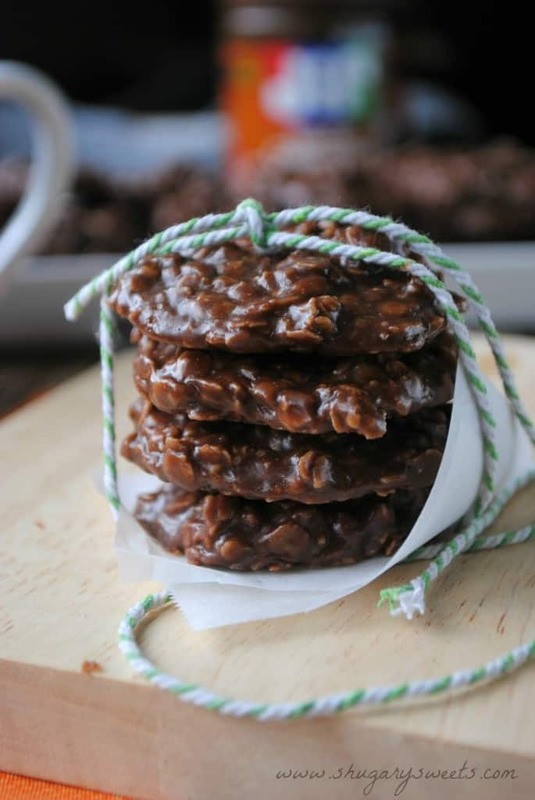 My favorite cookie are called haystacks. They have crunchy lo mein noodles held together either with melted butterscotch chips or chocolate chips. They’re so yummy! Oh yes, we love those!!!! Signed up for King Arthur’s newsletter! My fave everrrr cookies are Chocolate Oatmeal Cookies!!!!. Can eat about 8 at once…. My favorite cookies are peanut butter monster cookies with peanut butter m & m’s and peanut butter fudge in them. Yum! My favorite cookie is my mom’s chocolate chip cookie. I signed up to receive emails from King Arthur. My favorite is double chocolate chip. My favorite cookie is a snickerdoodle Nothing fancy, just delicious. Wish I had one now! I’m already a King Arthur Flour email subscriber, and have been for a long time. I pinned your so-pretty-they-must-be fake cookies (only kidding!). Seriously, they look amazing. If I had all of the ingredients in my kitchen, I’d probably be there making a batch right now. Oh…WOW. I can’t believe how good these look. Chocolate and espresso are a serious love of mine. These look so incredible, Aimee. I love a new cookie I have been making lately. It is a chocolate chip with pretzels and chopped Rolos. Yummy! I love chocolate no-bake cookies! So yummy! I signed up for King Arthur’s newsletter. These look delish! Pinned on pinterest. I will be giving these a try over the weekend. Ranger cookies are my favorite cookies, I really need to blog about them once I get the blog back up and running! Favorite cookie is oatmeal raisin chocolate chip. Extra chewy! My favorite cookie is snickerdoodle. I love how soft they are inside and just a little crunch on the outside. With a cup of coffee, makes a great breakfast. I signed up for the King Arthur’s Flour newsletter. My favorite cookie is definitely peanut butter. I signed up for the King Arthur newsletter. I pinned today’s recipe on Pinterest. I am willing to bet that I will try all four of these recipes at least once. I shared today’s post on Stumbleupon. My favorite is a sugar cookie with frosting! I signed up to get King Arthur emails! I shared your gorgeous cookies on my Facebook page, too, as well as the giveaway. I definitely didn’t need an incentive to pin these – they look incredible! My favorite cookie is chocolate-chocolate chip. But these might be a very close second! My favorite cookie is a classic chocolate chip cookie- soft and chewy please! I have too many favorite cookies. Chocolate chip, peanut butter, chocolate white chocolate chip,etc……the list goes on. These cookies look delish! I pinned this delicious cookie recipe! I subscribe to the king A newsletter. I subscribe to KAF newsletter! I think my favorite cookie is chocolate chocolate chip. I signed up for the King Arthur Newletter. Chocolate chip, all the way….but these ones look awesome too!! My favorite cookie is a hot and gooey chocolate chip cookie! Yesterday I experimented using maple cream cheese frosting with ginger cookies and making them into sandwich cookies. Very yummy! My favorite cookies are my mamas chocolate chip! My favorite cookies alternate between Peanut Butter, Oatmeal Raisin, and Snickerdoodles with a Hershey kiss on top!! My favorite cookies are chocolate chip with walnuts. I subscribe to the king arthur newsletter. I love a rich chocolate chip peanut butter cookie. And these, of course! 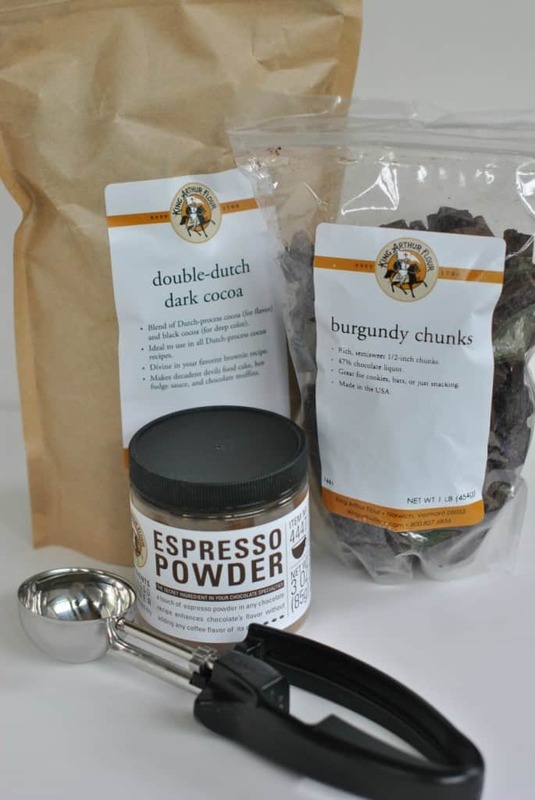 I make no bake cookies, but to add King Author’s expresso powder to them sounds incredible. I would be oh so grateful to be entered into the contest to win the King Author package. man these ‘fav’ ?’s are always the hardest! I hate having to decide. I’m currently indulging in a tollhouse w fresh pecans and had a half a ginger molasses cookie. I love me a pb one! homemade oatmeal raisin recipe from the side of the oatmeal canister, yummy always! well i just signed up for the KAF newsletter, looking forward to their recipes! My fav cookie right now is a jumbo chocolate chewy chocolate chip cookie fresh out of the oven at the cafeteria at my job. It’s my daily 2pm chocolatey pick me up!! You really can’t go wrong with ANY cookie, but one of my favorites are no-bake cookies, with oats, peanut butter and chocolate. Delish! My favorite cookie is homemade chocolate chip! Nothing better than homemade chocolate chip cookies right out of the oven with ice cold milk! Yum, that sounds great for breakfast right now! Good luck in the giveaway! I signed up for King Arthur Flour’s e-newsletter to receive special offers, recipes and tips! I pinned the recipe for chocolate espresso fudge cookies! Any sugar cookie is my favorite…and really ANY cookie with icing. Aimee, these cookies you just posted are exactly what I’m wanting right now! I don’t have a favorite, but I do love a soft sugar cookie! I am signed up for the King Arthur Flour newsletter. Aimee, these cookies look amazing. It’s hard to pick a favorite but I really love a classic chocolate chip cookie. My favorite cookie is chocolate chunk cookies! It seems cruel to make me pick a favorite cookie, because now I’m day dreaming about cookies and it’s not even 9 am! I love all cookies, but I’m especially happy when pumpkin seson rolls arounds and there’s all kinds of pumpkin cookies everywhere! I about fell out of my seat when I saw these on Pinterest last night! 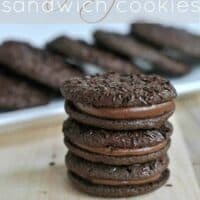 These are the BEST chocolate cookies I’ve seen in along time! They look rich and decadent. I love King Arthur! What a great give away, I have to enter! Chocolate Chip with Pecans and a glass of milk on the side! I love my mom’s Christmas cut-out cookies. Wow. These cookies look INSANE! I’ve always wanted to experiment with espresso powder and now I know what I’m going to try when I get my hands on some! My favorite cookie? Trying not to go with plain ol chocolate chip, even though there is nothing wrong with that… I’d have to say a Black & White Cookie. Almost cake like, with the two different icings making it feel like 2 different cookies in one. So freaking good and I could never pass one up. I happily signed up for the newsletter! And I shared it on Google+! Fresh out of the oven……MMMMMMMmmmmm! Coffee in my chocolate cookies…is it possible to love this idea more?! 😀 Bring on the caffeinated, chocoholic treats! These cookies are beautiful Aimee! My favorite is peanut butter cup cookies. So hard to choose a favorite but I have three: Gramps Molasses cookies, chocolate chip cookies and chocolate wager cookies with peanut butter filling. I love oatmeal cranberry chocolate chip cookies!!! Yum yum yum!!!! I seriously wish I had some of these tonight! I love using coffee in chocolate treats to amp up that chocolate flavor. I do adore a good chocolate chip cookie made with coffee extract or powder!!!! 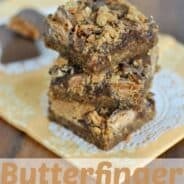 My favorite cookie is the Ultimate Fudgy Brownie Cookie, but this recipe looks like it may be a close second! I think this could easily be my favorite cookie, once I try it!!! NOM NOM!! I always love chocolate chip cookies, but another I love is eggnog chai tea cookies. My favorite cookie is the thumbprint cookie…not too sweet with a delicious cream cheese frosting! My favorite cookie comes from a KAF recipe, it’s a soft ginger molasses cookie. I subscribe to the KAF newsletter. Can’t wait to bake these!! Pinned to my Recipe’s Board & also signed up for Newsletetter! My favorite cookies at the moment are cinnamon mocha chocolate chip -so addicting! My favorite cookie has to be a cookie with candied bacon (be it chocolate or maple flavored), ’cause I love the sweet-savory combination! I’ve been getting the KA e-newsletter for years now and also subscribe to KA’s Baking Sheet. My Mom’s oatmeal cookie is still my favorite! I haven’t seen another recipe like it. I also signed up for King Arthur’s newsletter. Thanks! Cannot wait to try the Espresso Fudge Cookies!! Oh my! All time favourites are chocolate lava cookies!! i’ve also subscribed to king arthur’s newsletter……thanks for hosting this yum giveaway! My favorite cookie is Browned butter chocolate chip cookies. What a tasty way to wake up and have coffee in the morning. My kids would love this too. I love the fact that it’s frosted and chocolate flavored. Chocolates are my Achilles heel. I definitely want to acquire your giveaway. My kids would love the fun and tasty snacks we could whip up using your giveaway. Thank you! Oh wow! I think THIS is my new favorite cookie 🙂 it looks absolutely divine! My favorite cookie is chocolate chip, I’m a simple girl. But I’ll try any cookie atleast once. I signed up for the newsletter – can’t believe I didn’t already know there was one. Pinned these cookies and I will be making them for sure! I love any kind of chocolate chip cookie! But for some reason, I like them best after they’ve been chilled in the fridge. I love butter cookies! I have a Mexican recipe for them that I love! My all-time favorite cookies (Okay so I can’t pick just one!) are mexican wedding cookies, chocolate chip cookies, and white chocolate macadamia nut cookies!! signed up for KAF’s e-newsletter!! 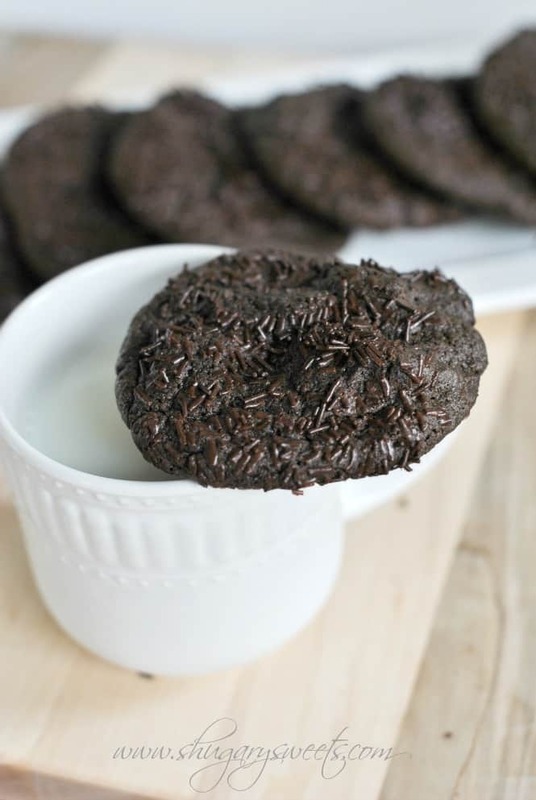 Pinned today’s recipe of the chocolate espresso fudge cookies! My favorite cookie is a lemon-cranberry sandwich cookie that I only make at Christmastime. A very close second place is peanut butter chocolate chip cookies. Thanks so much for a lovely giveaway. I signed up for King Arthur Flour email newsletter. 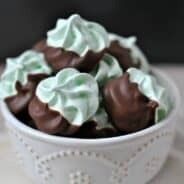 This look amazing and definitely will cure a chocolate craving!! Favorite cookie is the what my family has dubbed “Pudding cookies” and they are white chocolate chip cookies made with pudding mix in the dough. I like them with chocolate chips but my girls insist on white chips so both are made. I always love a good sugar cookie! I receive King Arthur’s emails. I pinned the pic under my Cookies page on Pinterest. I tweeted about the giveaway…and since I don’t usually tweet, I hope I did it correctly! I’ve been looking for a great, reliable espresso-flavored cookie recipe for forever! These are definitely next on my to-make list; my students will love them. Thanks a bundle!! My favorite cookie is oatmeal raisin. I’m subscribed to the King Arthur Flour’s e-newsletter. I shared this post on StumbleUpon.